Our purpose is to conserve, the cultural, historical, and environmental heritage of Buxton and its surroundings, and to promote an appreciation and understanding of the landscape, and heritage of the Peak District. To support educational activities and research projects that contribute to a better understanding of Buxton and its past or provide a better future for the people, flora and fauna of the area. To ensure proposed developments have regard to the area’s history, culture, and heritage, thereby supporting the improvement in lifestyle and quality of life for its inhabitants and visitors. 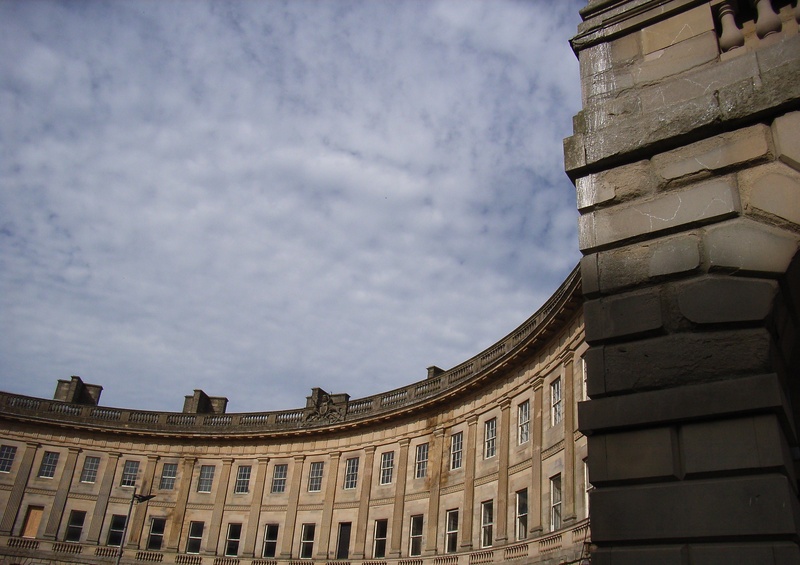 The famous Crescent, completed by the 6th Duke of Devonshire in 1786 to encourage the use of the Spa Waters, made Buxton into a desirable health and holiday resort. The surrounding landscape, used for quarrying and lime burning in previous centuries, needed improvement so the Duke took his very own Grand Design approach! He began a series of plantations of mixed woodland on the hills, to enhance the entire setting of the town and provide exercise through parks and tree-scape. If you would like to help Buxton Civic Association to achieve our goals please get in touch or come along to one of our events. We’d love to have you on board, work with us to conserve the area and encourage a new generation of visitors. If you can’t give your time then please consider one of our membership packages and be part of Buxton’s future heritage. The Buxton Civic Association gradually acquired the fine woodlands surrounding the town from Chatsworth Estates. Our ownership of all these woods brings protection for future generations. We offer group activities not only to preserve our woodlands but also to meet, socialise and educate ourselves while we volunteer. There’s a lots to do – take a look at the BCA Map, you can see areas that you’ve yet to explore, the hidden gems of Buxton. 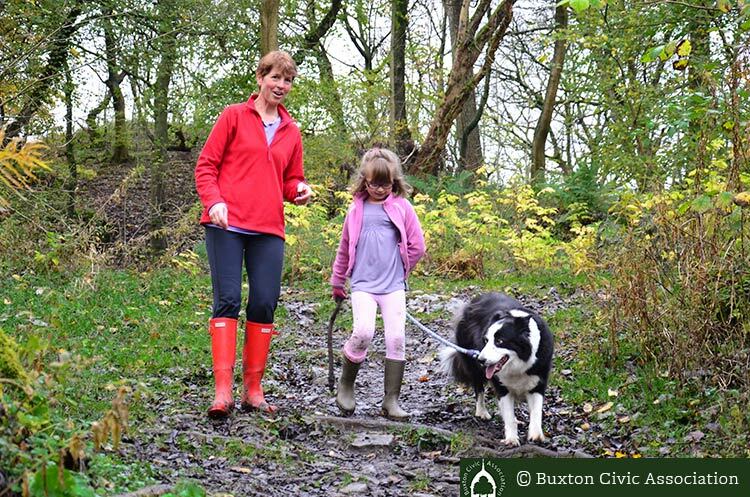 Accessibility – We believe that our woods should be open to everyone to enjoy, and explore. All we ask is that everyone respects the woods so that others can enjoy them. Our woods welcome dogs, but we ask that you remove anything that your dog leaves, from the woods. Educational – We believe that it is vital to provide opportunities for young people to get close to nature, and to be able to have hands on experience of the natural environment. We actively encourage schools to use the woods recreationally, and educationally. Sustainable- We continually strive to become a sustainable business, and to minimise the impact that we make on the environment. Heritage- We believe we have a duty to care for, and protect both the built environment, and the natural landscape that defines our town, and to ensure that it can be enjoyed by future generations. Entrepreneurial – We derive most of our income from our business activities, so we believe that it is important to be entrepreneurial, and to ensure that we generate sufficient profits to enable us to support, and maintain our obligations, and objectives. However we believe that it is important for a business to act ethically at all times and to have regard to the environmental impact of its existing and proposed activities.